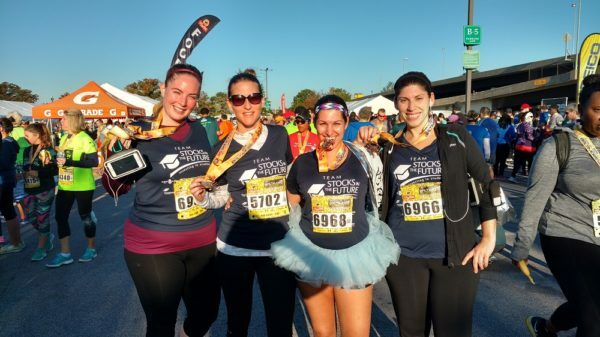 Join Team SIF at the Baltimore Running Festival on October 21, 2017 to help Baltimore’s at-risk middle school students invest in their financial future and themselves! 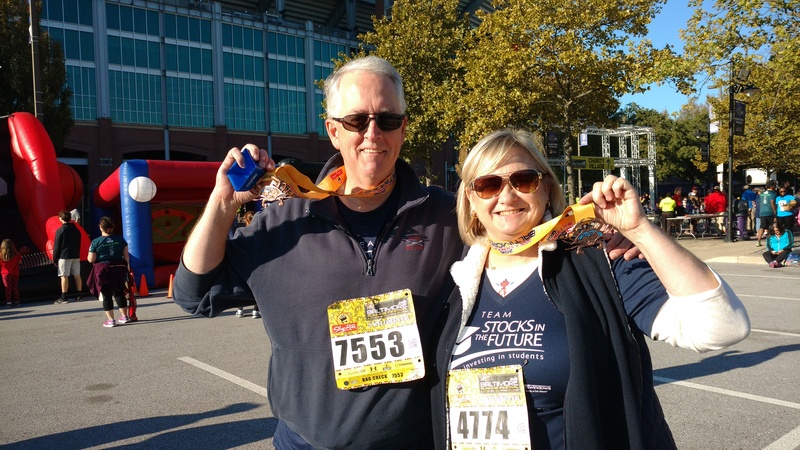 Join 80 friends, staff, students, teachers and corporate partners to participate in the 2017 Annual Baltimore Running Festival as Team Stocks in the Future (SIF). This year, Team SIF will raise awareness for financial literacy education in schools and afterschool programs. We are also raising funds to give interested Baltimore City schools, in the midst of funding cuts, the opportunity in 2017-18 to offer Stocks in the Future’s financial literacy and incentive program to underserved student populations. If our team meets its $25,000 fundraising goal, 100 at-risk Baltimore City students can become financially empowered by participating with Stocks in the Future’s program. Be a part of Team SIF today! Questions? Contact SIF at 410-516-6883 or sifadmin@jhu.edu. 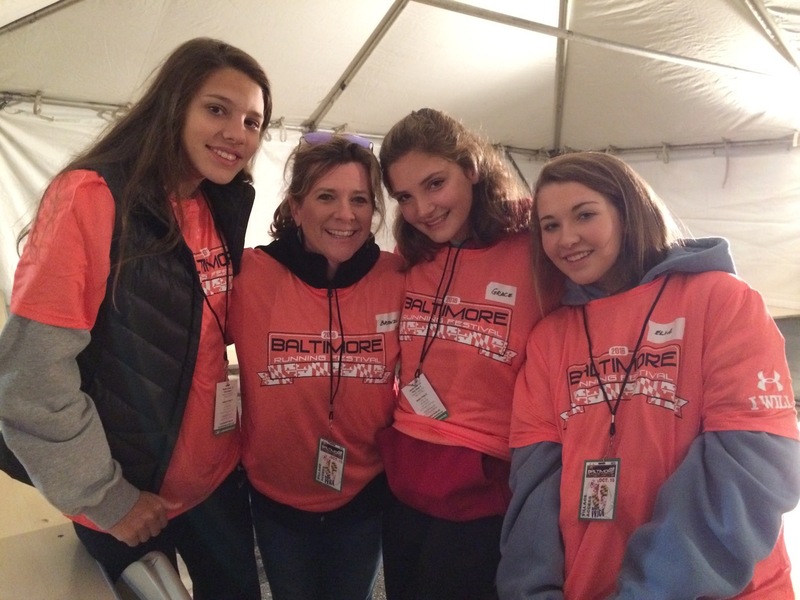 Check out some of our pictures from the 2016 Baltimore Running Festival! A. Visit Team SIF online. This is where you can raise funds, support a Team SIF member and invite others to participate! B. Want to be a team captain? Check out our FAQ’s and contact Stocks in the Future at sifadmin@jhu.edu or 410-516-6883 to get started. Download and share this handy workplace poster (coming soon!) to encourage colleagues to join your company team. C. Join Team SIF as a virtual runner! Interested in showing your support for Team SIF but also really wanting to sleep in on October 21st? Well we’ve got the perfect race for you! Join Team SIF as a virtual runner; you’ll receive a Team SIF shirt, too! Sign up to be a virtual teammate. D. Support Team SIF with a gift. What are Team SIF’s goals? What kind of support will Stocks in the Future provide to Team SIF members? What distances are included in the Baltimore Running Festival? How do I create or join a team for Stocks in the Future? Teams aren’t just limited to businesses. 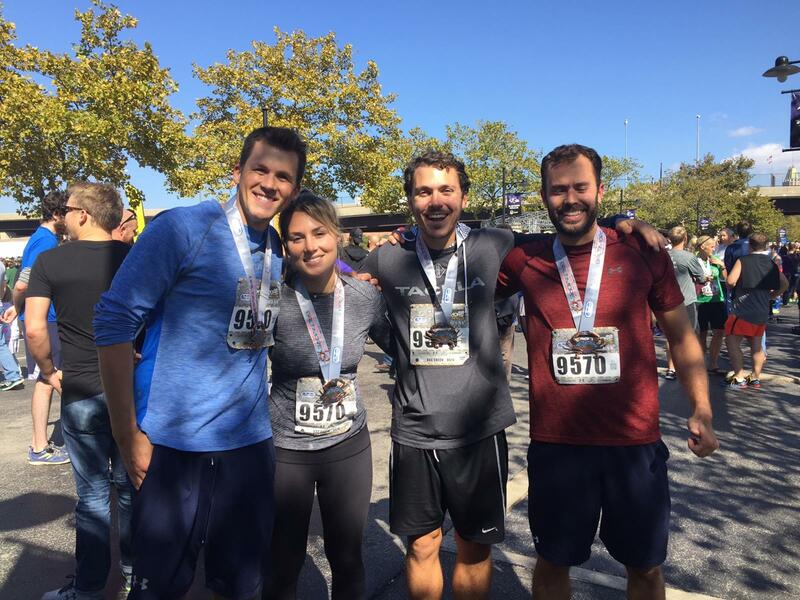 Teams can be a group of friends or neighbors, can represent a running club or civic organization, etc. Ensuring their team members are registered for the Running Festival. Creating a team fundraising goal and encouraging the team to meet it. We also welcome independent runners and walkers on Team SIF. Please visit our Team SIF homepage to register. At least 50 runners/walkers participate with Team SIF. Teammates are encouraged to raise a minimum of $250 in personal sponsorships. Funds can be raised online or offline. Team SIF’s overall fundraising goal is $25,000. Stocks in the Future is seeking corporate sponsorship to create Team SIF swag and host a post-race team celebration to raise awareness. What kind of support does Stocks in the Future provide to Team SIF members? We handle donation processing. All donations to Team SIF are tax-deductible to the fullest extent of the law. We provide online fundraising tools for teams and individuals, and provide training on using them. We liaise with Team SIF’s captains by providing troubleshooting, encouragement, Team SIF recruitment and fundraising materials, and more! What running distances are included in the Baltimore Running Festival? For Baltimore Running Festival-specific questions, please visit www.thebaltimoremarathon.com. For other additional questions, please contact Stocks in the Future at 410-516-6883 or sifadmin@jhu.edu. Team SIF offers a variety of ways for your company or business to be a part of our efforts. View the Team SIF Sponsorship Prospectus. For more information or to arrange a sponsorship, contact SIF at 410-516-6883 or sifadmin@jhu.edu. More information about volunteer opportunities with Team SIF coming soon. Contact us at 410-516-6883 or sifadmin@jhu.edu. Several corporate sponsorship opportunities are available through Team SIF. View the Team SIF Sponsorship Prospectus. For more information or to arrange a sponsorship, contact us at 410-516-6883 or sifadmin@jhu.edu. – To set up your corporate team fundraising page on Crowdrise, contact us at 410-516-6883 or sifadmin@jhu.edu.